Can&apos;t find the time or funds to travel around the globe quite yet? Never say never. The festival, scheduled to take place from noon to 5 p.m. in the College square downtown, will bring music, dance and cultural displays from around the world. Dozens of student organizations will be present and there is no cost involved with attending or participating in festival activities. Visitors will have an opportunity to collect “passport” stamps from each of the countries represented; those who collect all available stamps will receive a ticket for a prize drawing. A children’s corner will include activities such as coloring international paper dolls, creating their own flags and crafting African necklaces, to name a few. 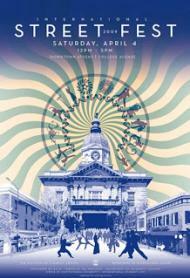 For more information about the festival, or to volunteer, call 706/542-5867 or visit www.uga.edu/isl.